Matt Soergel is an Agency Owner with Goosehead Insurance. Matt grew up in Okemos, Michigan and later attended Aquinas College in Grand Rapids where he was an All-American Baseball Athlete. After college, Matt worked for State Farm Insurance and later opened his own office in a suburb of Chicago. Matt was a State Farm Agent for over five years before him and his family decided to move back to Michigan. Matt, his wife and two kids live in Grand Rapids. 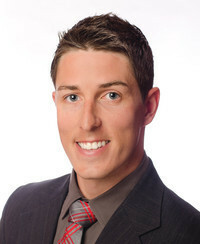 Matt enjoys spending time with his family, playing golf, networking and being a resource for his clients.